So Purchase with at least 1 penny cash back IS PIN priority?!? 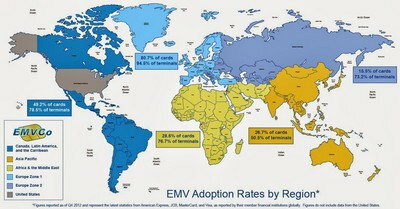 Yes, but that's true of ANY card run over the debit network in the States today! 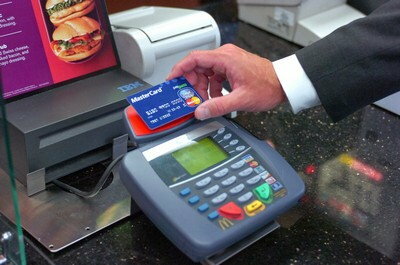 What tmiw is telling you is that your Visa card purchases at stores and restaurants will be signature transactions. However ... this adds credence to the proposition that they're switching to MC because those will be PIN-primary for all transactions! In other words, you've jumped the gun a bit in getting a "leftover" Visa card. I'm strongly considering opening a First Tech account now, with the understanding that their debit cards will change over to PIN-primary for (almost) all transactions later this year, which would be good enough for me without having to apply for another credit card. I'm fine with a $25 lunch in Paris being deducted from my checking account, after I enter the PIN. 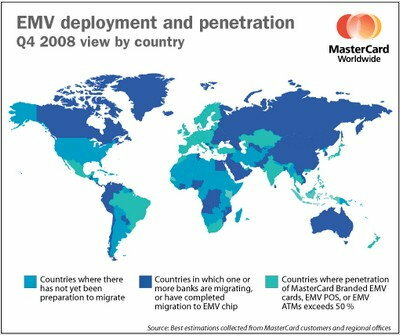 I'm really not sure how getting a Visa chip and signature card proves anything about their impending MC rollout. We really should wait until those come out and see use before concluding anything about their CVM lists. So a credit card can be used over a debit network (besides ATM)? Hopefully it's the VISA vs MC issue (although MCs are reportedly not available until I get off the plane returning from my trip in May! 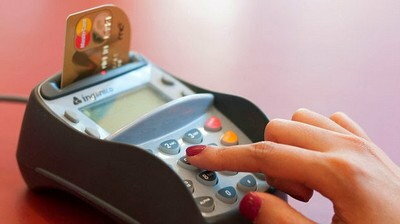 and the additional 1% ISA passthrough fee that First Tech and most debit card issuers pass through. Not a big deal - just annoying and disappointing. Fully agreed, but from First Tech's press release on the changeover, it's clear that they are following UNFCU's lead. I know we disagree on this, but I feel that the banks' conflating/confusing EMV with PIN will result in folks calling in after October demanding a PIN, being told "Oh, but you don't need one!" and getting back, "But, I want one!" No, you cannot run a credit card on a debit network, but then again, you cannot get (extra) cash back from a credit card purchase either. Unfortunately, I would assume that your "leftover" Visa card will be an (old-style) Signature-requiring one. Fully agreed, but from First Tech's press release on the changeover, it's clear that they are following UNFCU's lead. I know we disagree on this, but I feel that the banks' conflating/confusing EMV with PIN will result in folks calling in after October demanding a PIN, beikng told "Oh, but you don't need one!" and getting back, "But, I want one!" Is this the Points Rewards card or the Cashback Rewards card? Giesecke & Devrient Discover cards now work at Walmart. Nothing seems to have changed on the card, even after a transaction, the logging is gone. I don't recall if I was asked for cash back or not, but it seemed to have worked fine and it went through. Now, I want to know if they've been fixed everywhere (hopefully), which would represent a back-end change Discover made (since the transactions were getting far enough that Discover saw them); or if Walmart made a software change to make them work (not ideal, though there'd still be hope the cards could be truly fixed through issuer scripts). 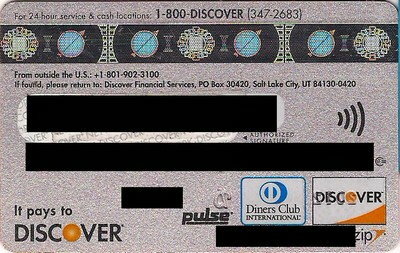 Can anyone confirm/deny if G&D Discover cards now work at other chip merchants that take Discover/Diner's? 1% cash back (to savings). They also have 2 different points (not miles) credit cards too. I've always found point cards that have merchandise redemption that is way over priced and very limited number of items. I'll be having a chat (or 2 or 3 or ???) with First Tech credit card dept tomorrow to review the CVM list with them and, if necessary and available, get on the short list for the MC if it has chip with TRUE pin priority. FWIW Andrews apparently gets a fair number of calls/complaints about the signature priority from what I could tell. Maybe if there's some sort of way to email someone who would be in a better position to fix it or at least make their marketing clearer. BTW do we know if any other issuers besides WF and AmEx have decided to implement contactless on their physical EMV cards? Apple Pay goes pretty far but still has gaps (and AmEx cards supporting contactless either have a FTF or insanely high AFs). And NO contactless Amex has zero FTF. Delta, PRG, and Platinum are all not available with contactless. So nothing new compared to last time I looked into it. Except maybe US Bank; I don't remember them offering contactless before. They always have, I believe. Maybe I'm wrong but I could swear I've heard of contactless chip cards from them. Part of the reason for their receiving the amount of flack they do is they were sort of first out the door in offering cards with emv chips and have received a great deal of credit for being an American chip and pin card from many travel writers. 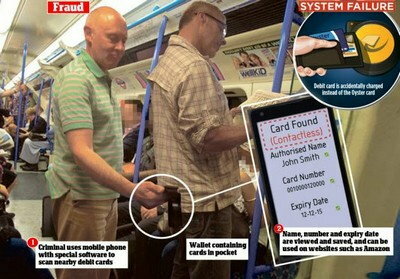 People then rush to get the card and then and only then find out it is not truly a chip and pin card. I remember much earlier in this thread when I was directed to the card, went through the rigor morol of applying and then only discovered it is primarily chip and signature. Then along came SDFCU. Applied there when everybody said it's chip and pin and then discovered the same thing. Not to repeat the story it took about a year before I was able to acquire a "true" chip and pin card, the USAA world mastercard and I was like a pig rolling around in you know what. Little did I know that a couple of months later, USAA would pull what it pulled. I now have all these cards which I use every so often in the hope they see the light of day (there were rumors here a couple of months ago that SDFCU would be issuing a "true" chip and pin card. So we are really at a cross roads. 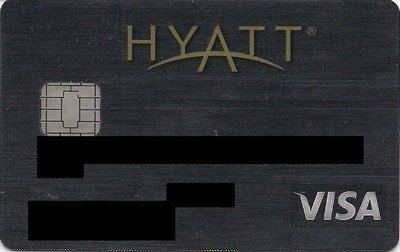 Either visa gets its way and the chip and signature cards become more or less universally acceptable or some more enlightened banks with half decent rewards programs, no annual fees and no ftf's start issuing "true" chip and pin cards. (Neither UNFCU nor DC meet all those criteria but I carry the UNFCU card when I travel outside the country just in case but the 1% ftf turns me off and discourages me from making it my primary card). Of course if and when more banks begin offering "true" chip and pin cards, then the next problem will be getting merchants to use chip and pin. Indications are that may be just as big of a hassle. I made purchase transaction at a grocery store in Panama City (Panama). It was a USD transaction. In spite of using the pin on my UNFCU Azure Visa, a slip for signature was printed. Any ideas on why?